I started to question why she calls herself Baby. She responds to her name and when I ask, “Who is Lillian? “she immediately points to herself and says, “Me!” And to my amazement she is even beginning to recognize her name when it is written. 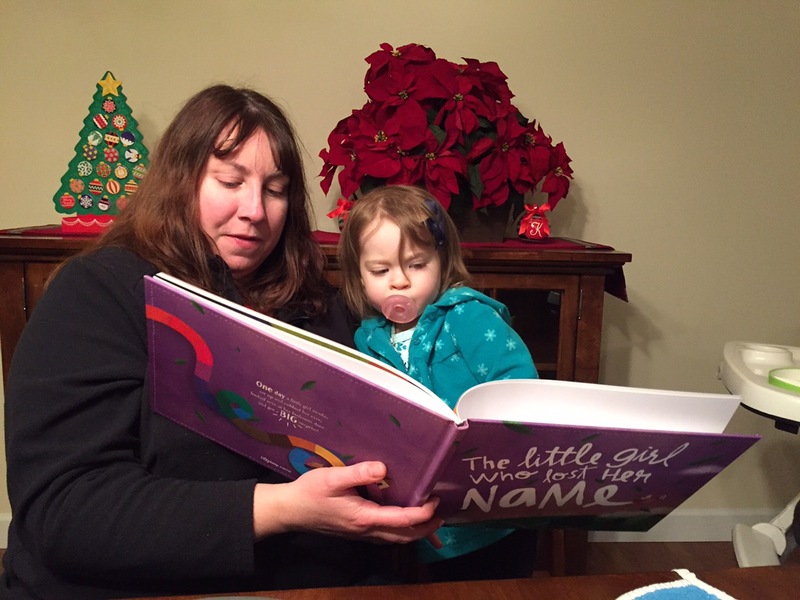 Thanks to the personalized book her Godmother Aunt Kay Kay got her for Christmas. I have heard her say “L..I..L..L..I..A..N as she points to the back of the child sized chair adorned with her name that proudly sits in our family room. I have asked her, “Does that say Mommy or does that say Lillian?” and she replies, “It is me!” So I don’t think she actually thinks her name is Baby. Lillian is our one and only child and although she has two cousins they are both teenagers and have grown taller than me! I guess the name fits as she truly is the baby in our immediate family. She probably calls herself Baby because I used to greet her each morning with “Good morning my beautiful baby” and throughout the day I would smile at her and say, “What a sweet baby!” Or she may have chosen to call herself Baby because she has two names. Some people call her Lillian while others call her Lilly and to end all of the confusion she may have decided to simplify things by calling herself Baby. I guess my baby, I mean Lillian, is smarter than I think! Being the little perfectionist that she is she probably can’t say Lillian or Lilly so she calls herself Baby which she can say loud and clear. After all the initial /l/ sound is a five year old articulation norm while the /b/ sound is a two year old articulation norm. Perhaps she calls herself Baby because she has been talking to her friends at The Little Gym. Maybe she is worried another little human will join our family and take her place as the baby. Three of the library girls, along with her neighborhood friend, have recently announced their second pregnancies. So in a few months many of her friends will gain a new name and will be called Big Sister. “Nobody puts Baby in the corner” has become part of our modern culture and carries a positive meaning. So maybe when my little one calls herself Baby she is really saying don’t let anyone tell you they are better than you and never let anyone make you hide who you really are. The world deserves to see you shine and everyone has the right to be heard, loved and to dance! Powerful words to live by and ones I hope Lillian remembers and applies to her life.